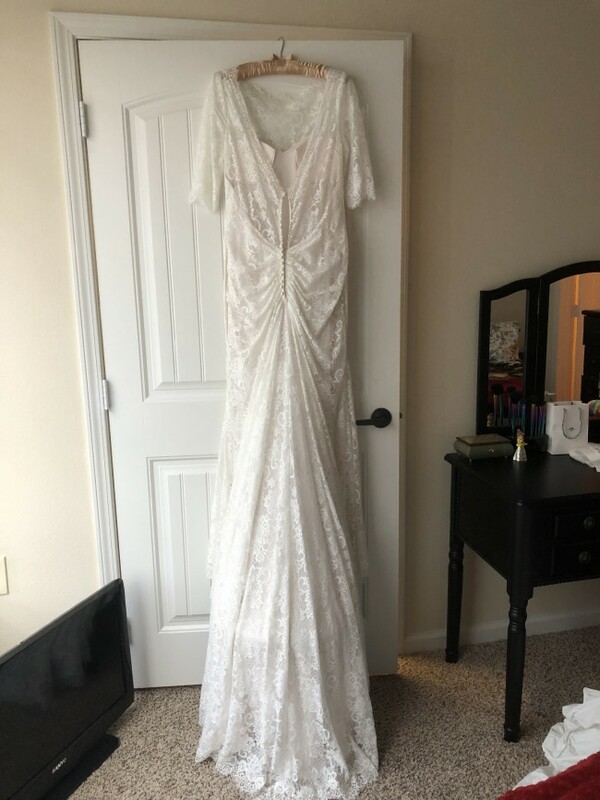 Beautiful, worn once Maggie Sottero McKenzie sheath! Hugs curves in all the right places and the lace is immaculate. I also have a headpiece and cathedral length single tier raw edge veil I’m willing to sell with the dress. Price is negotiable depending on whether you want the veil and headpiece, just the dress, or any combination of the 3. Will include shipping in a heavy duty garment bag as part of the price. Thanks for looking! Professionally done at a leading bridal tailor in my hometown. No bustle done, so you can customize as you like.